The smartest brands are recognizing that acting globally through localization is necessary to engage existing as well as prospective customers, said Haitham Wahab, CEO of CMI. His presentation to localization industry leaders, “Communication in a Post-Text World,” analyzed the growing role of video in communication. Other notable highlights included a keynote by a technology officer at National Geographic. Drawing on his experiences working around the globe, Marcus East illustrated how the media company addressed the challenges of digital transformation by becoming an agile, international, yet locally sensitive digital publisher. LocWorld’s conferences are one of the localization industry’s premier gatherings to discuss and share industry trends. This year’s theme of “Digital Transformation” attracted a large number of corporate brands along with language service industry vendors. The conferences are held around the world, with upcoming events in Kuala Lumpur and Portugal. 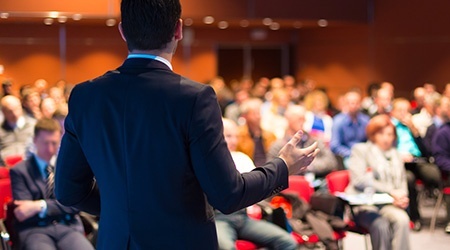 For more on LocWorld and its events, please visit https://locworld.com/. To learn more about localization, please visit our resources pages for complimentary guides. The CMI team is also happy to help you with your localization needs.